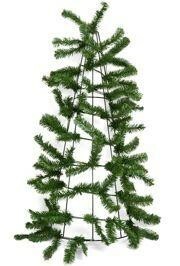 |< << 1 >> >| Displaying 1 to 12 of 12 Items Found. 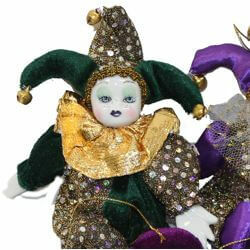 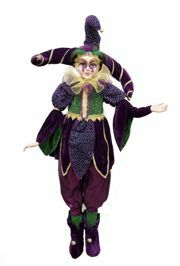 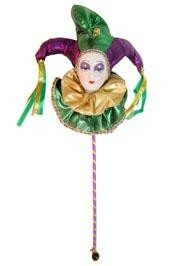 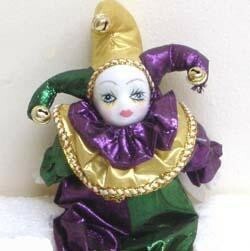 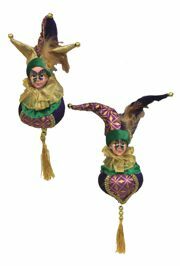 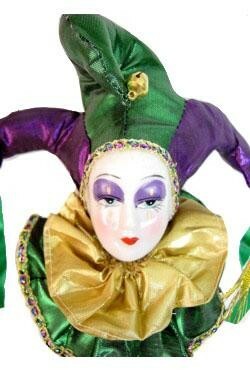 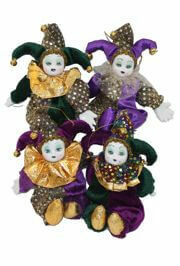 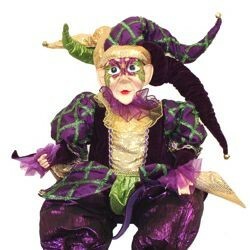 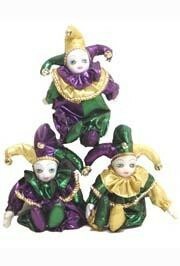 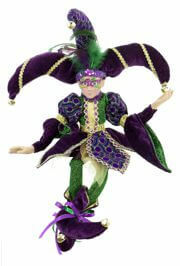 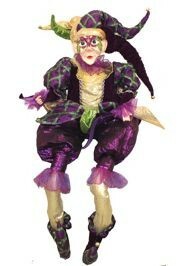 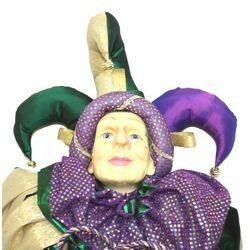 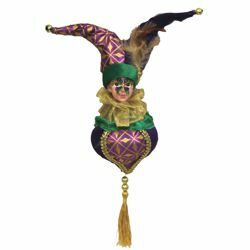 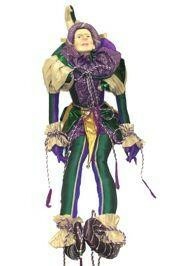 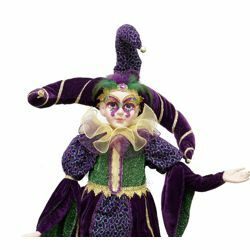 This 20in tall Mardi Gras jester porcelain doll is wearing a butterfly Mardi Gras mask. 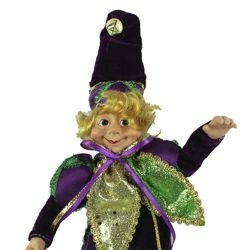 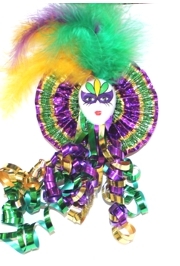 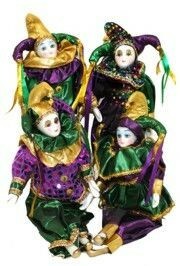 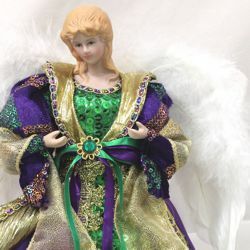 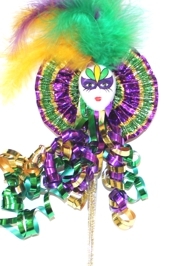 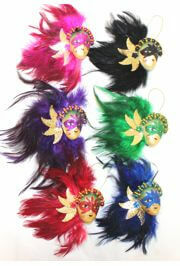 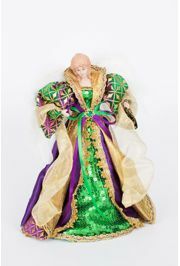 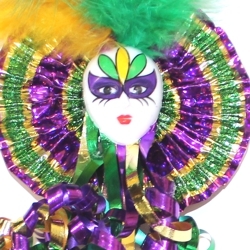 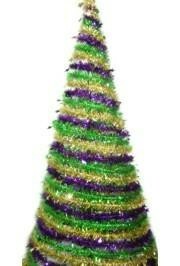 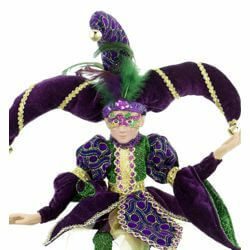 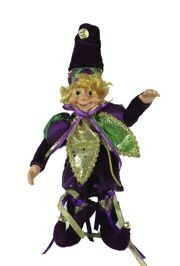 A small elf doll in traditional Mardi Gras purple, green, and gold colors.